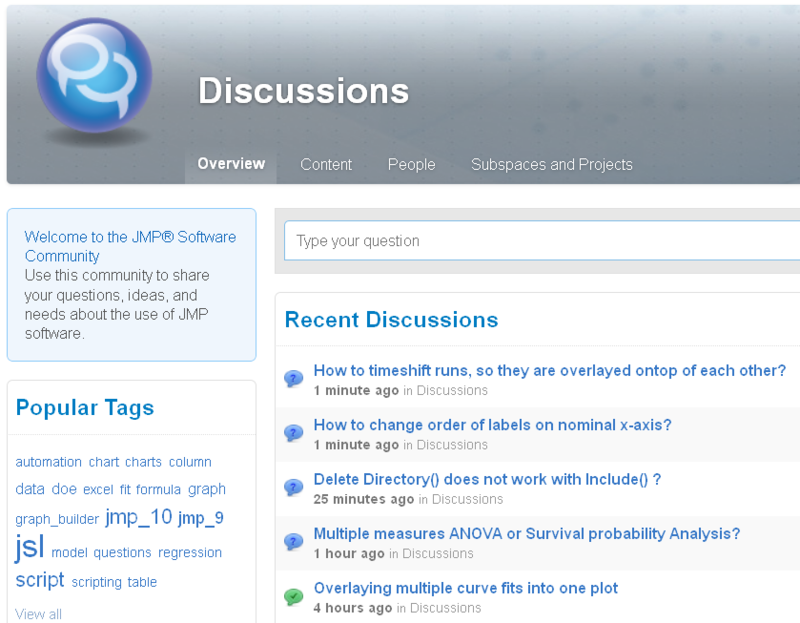 The Discussions section of the JMP User Community is a busy place. But that isn't really a surprise because the User Community is the largest online gathering of JMP users worldwide. I wanted to know what the most popular content in Discussions was this year, and Stan Koprowski, who is one of the User Community managers, ran some queries and found out for me. Actually, he found out on two measures of popularity: most viewed and most liked. So I thought I'd share both lists with you. (You'll see some overlap between the two lists.) I'm hoping that at least some of the content on these lists will turn out to be helpful to you. One of the things I found interesting as I looked at these particular Discussions was how much conversation the posts generated. For example, one post resulted in 20 follow-up questions and answers, and another had 17. You'll notice that many of the posts on these lists have been marked "Answered" and some answers marked as "Helpful," which is great. However, many still have "Unanswered" status, although various answers have been provided. Feel free to add to the "Unanswered" posts and help close those out as "Answered." Did your post make it on the lists? Or did you provide an answer to any of these? Anyone know how to create divergent bar chart for Likert scale data? How can modify the below 3 factors of 3 levels RSM script to 3 factors of 4 levels? Is there a way to automate/script the Winsor process of outlier filtering? (Four-way tie) Which Control Chart to use? Which Control Chart to use? Thanks for taking part, and I hope to see your posts and answers in the User Community next year!